Suffered a cracked, chipped or shattered windscreen and need prompt assistance? 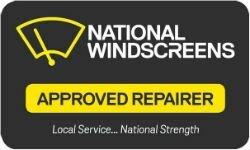 Fortunately, National Windscreens offers reliable in-branch and mobile windscreen repair and windscreen replacement in Perth for cars of all makes and models. Our local windscreen repair and replacement experts service Perth and surrounding areas, providing assistance day or night to get you back on the road again. In-branch & mobile service – If you can’t make it to our Baling Street workshop, we can come to you. After hours emergency service – Night or day, we can provide the assistance you need. Windscreen repair & replacement – We offer windscreen repair and windscreen replacement in Perth for vehicles of all car makes and models as well as light commercial vehicles, trucks and buses. We’ll assess your windscreen and determine if repair or replacement is the best option for you. Side and rear window replacement – In addition to windscreens, we can repair and replace side and rear windows. Tinting – Our tinting service offers a range of benefits, including improved comfort and added security. And more – We can also assist with canopies, chip repairs and other helpful services. When you need fast windscreen repair or windscreen replacement in Perth, turn to the team at National Windscreens. Call us now on 1300 363 632 – we’re available 24 hours a day, 7 days a week.